Remove even stubborn dirt, such as limescale and soap residue, thoroughly and hygienically with the IMPRESAN Hygiene Bathroom Cleaner. Its deep-cleaning formula adheres particularly well to vertical surfaces. 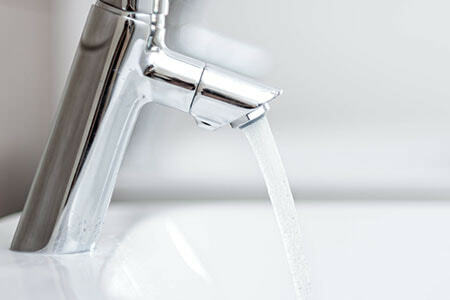 Limescale, soap residue, and dirt are often difficult to remove. In addition, they provide a growing environment for germs. Therefore, remove such deposits reliably and thoroughly with the IMPRESAN Hygiene Bathroom Cleaner. At the same time, you ensure hygienic cleanliness. The IMPRESAN Hygiene Bathroom Cleaner dissolves limescale with the natural power of citric acid. It also has a disinfectant and antibacterial effect, eliminating more than 99.9 per cent of bacteria. In this way, you can clean your bathroom hygienically and make it shine. The powerful cleaner adheres very well to vertical surfaces. It is suitable for use on most materials and is dermatologically tested. 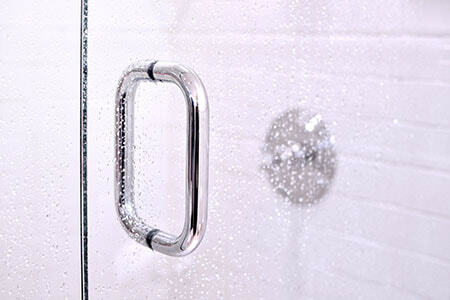 Limescale, soap residue, and dirt are efficiently removed. The Hygiene Bathroom Cleaner ensures clean hygiene from the tiles to the shower enclosure. It offers reassuring healthy hygiene in the whole bathroom. Spray on the surface to be cleaned and allow to take effect for one minute. For stubborn dirt and limescale, let it soak for up to ten minutes. ATTENTION Causes serious eye irritation. If medical advice is needed, have product container or label at hand. Keep out of reach of children. Eye protection/face protection. Wash … thoroughly after handling. IF IN EYES: Rinse cautiously with water for several minutes. Remove contact lenses, if present and easy to do. Continue rinsing. If eye irritation persists: Get medical advice/attention. Dispose of content/container in compliance with local and national regulations.